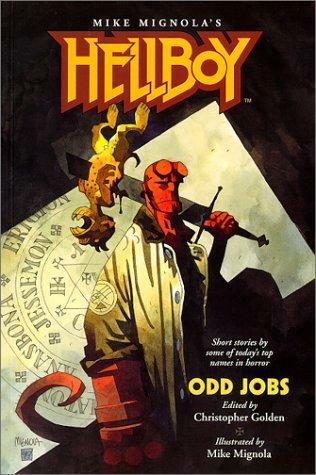 Whether you are a fan of the action full blow em’ up comics, the emotional comics with important life lessons, or the hilarious banter from comedy comics Hellboy has a story for you. One of the most original characters to ever be created Hellboy follows the orphaned son of Satan himself as he is raised by and works alongside good men in the B.P.R.D. Hellboy has one of the best collections of characters in any comic and each story has another emotion stirring up inside you. Over all probably one of my favorite comics and it’s spin off B.P.R.D is up there on the list too, a definite must read. Tagged comic alert, comic book, comics, Hellboy.